I am Joel Dueck, a computer guy from Minnesota. I enjoy publishing small books and small websites. Nice smells. Birds chirping. 16th and 21st century music. See the rest at my Pinboard page. As a dad and a wage-earner, most of my focus is spent on things that will never be seen on the internet. Lately I am a huge fan of the Not Writing lifestyle. But I’ve been publishing stuff online since 1998, and I can’t seem to quit entirely. My first experiment in creating a web site that is also a book. The included essay The Unbearable Lightness of Web Pages, about why web sites should also be books, was a minor viral sensation and was retweeted and shared by people whose work I have followed for years. Very gratifying. 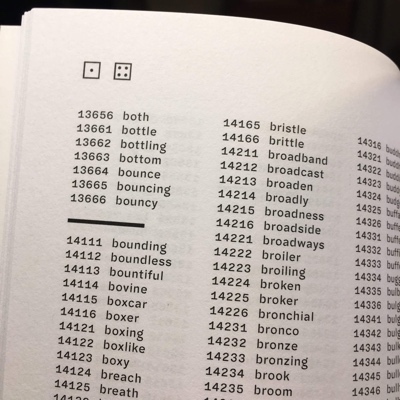 No one had ever made a print edition of the Diceware word list before, so I made one just the way I thought it should be done. Typeset in Halyard Micro, processed with Pollen/Racket and LaTeX. Selected as an official swag item for attendees of RacketCon 2018. My long-running blog that also experiments with new uses for comments. Originally hand-coded HTML, the current site has been published with Textpattern since 2004. However I am rewriting the back end in Pollen/Racket, with a framework that will make it easy to publish printed books of the site’s content. A small Racket DSL for writing programs that produce print-ready PDFs for book covers. 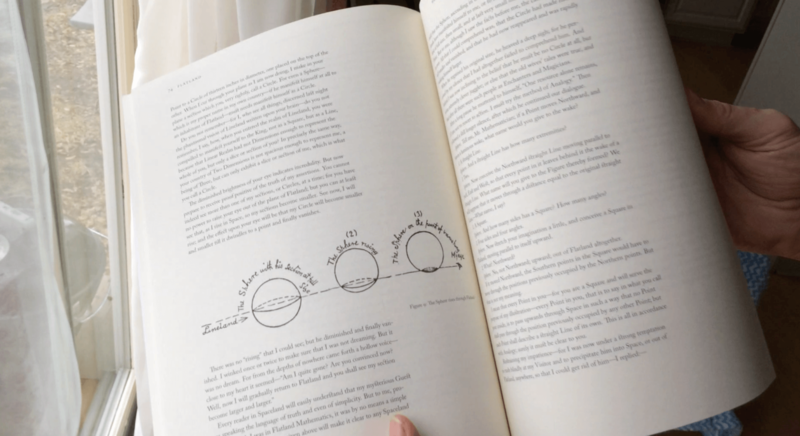 The covers scale automatically to the size of your interior PDF, including the size of the spine area, so you can take them right to Createspace or any other print-on-demand service. My miscellaneous tech/how-to blog, originally hosted at Blogspot, now dual-published to static HTML and PDF with Pollen. Simulates a complete game of Bunco with unlimited players. Because the computer is keeping track of everything, there are a lot more statistics you can track that aren’t very feasible in a normal game: streaks of scoring rolls, longest time at a particular table, longest time holding the traveling fuzzy die, etc. Written in Python 3.7, uses the Twilio API for optional SMS updates to participants, and generates complete scorecards for each player in Excel format. I typed this web page by hand in a text editor (the same one you use!). The font is Vulf Mono, the official font of the band Vulfpeck, which is also good. You can see how this site looked from 2004 to 2018. That version of this site was designed to look like a GeoCities page from 1997. The guest book was signed by Dean Allen himself, which is why I must preserve it for all time.